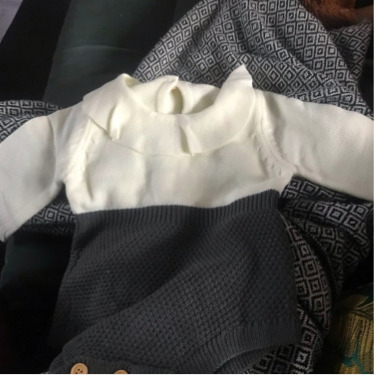 Looking for an outfit that can be worn for casual or formal occasions. We have it! 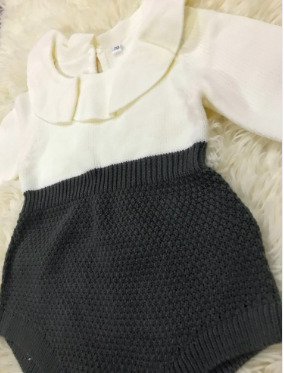 Our lovely looking Danica Knitted Romper will not only help your little one keep warm but it also gives her that sophisticated and classy look. A perfect OOTD this winter. Simple detail but elegant looking! It looks amazing and feels confortable. My daughter loves it! Delivered sooner than expected! Sizing is perfect! So happy with it! Gorgeous outfit! Good quality ! I would recommend this to my friends! It runs a little big; aside from the size, everything is so pretty!